ikepela is redambition: Would you work for free? ...Or why it's important to read Ts and Cs. I'm sure that most, if not all, people would agree that volunteering for a worthy or charitable cause is rewarding and a jolly good thing to do. But what about essentially volunteering your time and writing for a large corporation... who will be using said work to promote their brand (and sell more product)? What about even paying for the privilege of doing this? A person I follow on Twitter shared a link posted by the Sportsgirl Twitter account today. 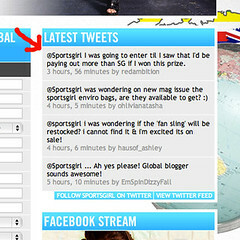 It's a competition to win a trip around the world (and a new wardrobe) and blog as a roving global blogger for the Sportsgirl brand. It sounded like a lot of fun and I considered entering - so I decided to read the terms and conditions to see what they said about the blogging side of things. I wanted to know what would be expected of the winner in terms of posts and content. What I found was not what I expected. 7. The Prize. The winning eligible entry will win 2 STA Travel Round the World airfares as part of the competition entry. The prize is for 2 people only. The prize value includes airfare costs and applicable airline taxes only. The prize does NOT include accommodation or additional costs as stated below. 8. Spending money, meals, travel insurance, passports, visas, transport to and from departure point and all other ancillary costs, as well as obtaining any of these, are the responsibility of the winner. The prize, as per the Ts and Cs, is two plane tickets. That's it. If I were to win this competition, I'd have to organise and pay for my own accommodation in the four cities allowed on the flights. I'd have to organise all of my own transfers, my own meals and spending money. I'm essentially left with the bulk of the cost of the trip... and a deadline in which to find the money and do it in, as understandably there is a deadline on the travel time allowed. So, the winner gets to pay for most of the trip AND spend time writing a blog for Sportsgirl while they're on it! Interestingly, neither the blog or the new wardrobe are mentioned in the terms and conditions. There's no mention of what kind of writing exposure the winner can hope to receive. Personally, all this has turned me off entering as I am not interested in paying for the privilege of helping a company expand and promote their brand - using my image and words. I'm glad I clicked through and read the Terms and Conditions. I wish any entrants good luck and hope that they also read the Ts and Cs before entering - just so that they know what's expected of them should they win. Today's irony: I've just given the brand a free plug by posting this. Huzzah! Feel free to comment - am I too cynical and have I got this wrong? Is it just an amazing chance or are Sportsgirl trying to get some serious marketing mileage for not that much money? I'm always skeptical about competitions like these. Firstly, I never win anyway, but secondly there will always be a "catch", such as you have to travel within these dates, or it's with the worst airline ever which will give you goosebumps everytime you think about that airline. So the fact that Sportsgirl thinks they can get away with such competition is a bit rich - offering a round the world ticket with no spending money or accommodation? I bet you the person who wins it wouldn't have been as clever as you to read the terms and conditions and would probably have to decline the win and Sportsgirl will just have to keep on going trying to find some poor sucker to do their dirty work. i saw your tweet about this and i dont think youre being cynical at all. if my boss wanted me to do that kind of promotion, he would be paying all my expenses PLUS my usual wage. they are getting away with exploitation by calling it a prize. id be on to fair trading about it myself. good job you read the T&C!